Opened up Facebook tonight, and this is what I found. Material Reissue, which features original Material Issue members Ted Ansani and Mike Zelenko, along with singer-guitarist Phil Angotti and guitarist Jay O’Rourke, has a gig coming up on March 23 at Shank Hall in Milwaukee, Wisconsin. I’ve seen them a few times in the Chicago area, and those great power pop songs by the late Jim Ellison definitely live on. Pocket Con; The Chicago Cultural Center; The Department Of Cultural Affairs And Special Events; Free Write Arts And Literacy; and local arts group Stomping Grounds are hosting Pocket Con - The Convention That Celebrates Characters Of Color from noon to 6:00 p.m. tomorrow at The Chicago Cultural Center. The free event promotes youth literacy via graphic novels, indie comics, and small publishers. The focus is on African American artists and writers, as well as women, Latinos, and the LGBTQ community. Over the years, WXRT has partied with its listeners on occasions like Cubs season openers, St. Patrick’s Day, exclusive concerts, and DJs’ birthday parties. This Friday might mark the first time the local FM radio station is rallying around Ground Hog Day. 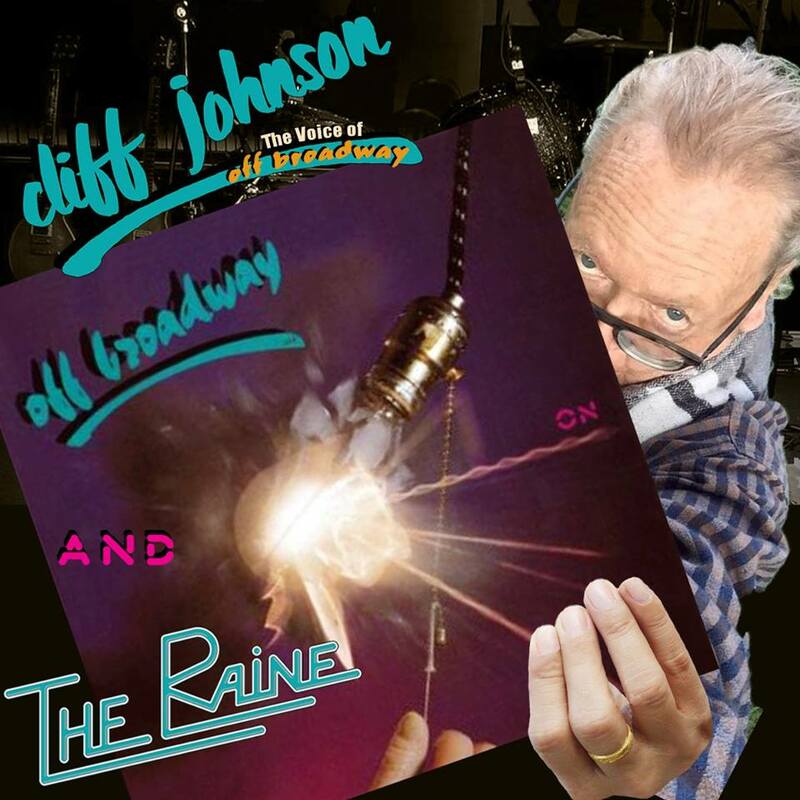 Long-time morning air personality Lin Brehmer and news anchor Mary Dixon will be broadcasting starting at 6:00 a.m.
John San Juan and his band will be performing at the Live Wire Lounge on Milwaukee in Chicago on February 24. Sunshine Boys, the trio that comprises Dag Juhlin from The Slugs, EXPO ’76 , and Poi Dog Pondering; Freda Love Smith from Blake Babies; and Jacqueline Schimmel from Big Hello; are also on the bill, and will most likely be performing songs from their recently released and incredibly impressive debut Blue Music. Chicago-based quintet The Mons will also be playing Live Wire that night. 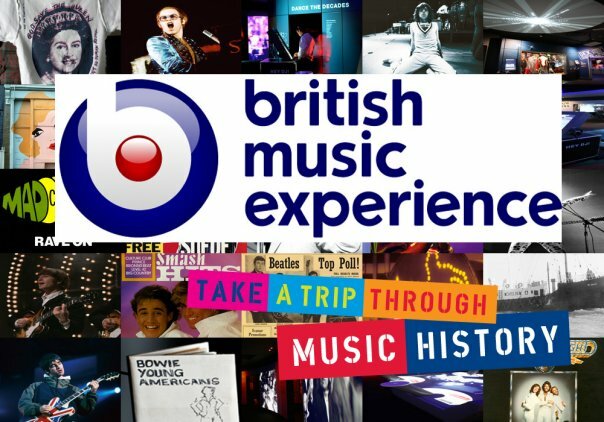 I’m still yearning to visit Liverpool, and Steves mentioned the city’s British Music Experience museum. The webpage mentions, “an exclusive range of gifts, clothing, books and memorabilia from the Merch Store,” but it doesn’t look like you can do any online shopping. I had an extended and interesting chat with a rep from the British Music Experience at last year’s Fest For Beatles Fans - Chicago about the museum, as well as a book he had written. So, it’s definitely on my wish list, along with checking out International Pop Overthrow - Liverpool. Steves also mentioned the Handel And Hendrix Museum in London’s West End area. Apparently, the two musicians could have been next-door neighbors had they not been separated by a few centuries. One of the exhibits is a faithful recreation of Jimi Hendrix’s bedroom. Congratulations to Charles Finch on receiving the National Book Critics Circle’s Nona Balakian Citation for Excellence in Reviewing. 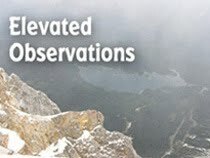 His reviews often run in the Chicago Tribune and New York Times. Psst, Charles: I’ve got four novels that I’m hoping to get published someday. Actor David Schwimmer, whose character Ross Geller on the Friends sitcom became the patron saint of unrequited love, is in Chicago to direct a new play at the Lookingglass Theatre. Schwimmer helped found The Lookingglass Theatre in 1988. As noted by Chicago Tribune writer Robert Channick, Schwimmer also recently filmed a 60-second Skittles commercial that will be only screened for an L.A. teen named Marcos Menendez rather than a worldwide Super Bowl audience. It’s a marketing strategy that’s either a stroke of genius or extremely unambitious. Writer Alex Nitken had an article in the Chicago Sun-Times today about a new Milwaukee Avenue rapid transit bus network that could be up and running between Jefferson Park and Niles by the end of this year. I’d love to see some southbound Milwaukee Avenue buses running later than they currently do on Saturday nights. Last year, I had to leave early from the splendid Kaleidoscope Eye festival at Live Wire Lounge because the last bus to Jefferson Park came a little after 10:00 p.m. By the way, I’m hoping Red Plastic Buddha vocalist-bassist and Kaleidoscope Eye organizer Tim Ferguson has another one planned for 2018. 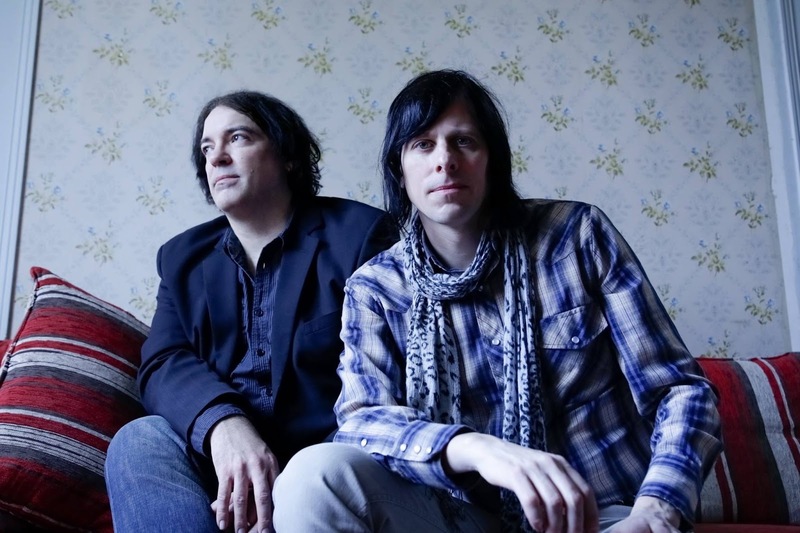 The Posies entered 2018 with big plans to celebrate their 30th anniversary, and that includes founding members Jon Auer and Ken Stringfellow performing as an acoustic duo at City Winery Chicago next Wednesday, January 31. Fans can also find lots of cool things on The Posies’ PledgeMusic page, like deluxe versions of the Dear 23 and Frosting On The Beater albums. Pearl Jam returns to Wrigley Field in Chicago for a pair of concerts on August 18 and 20. Hopefully, there won’t be a torrential downpour on either of those nights. The band’s Let’s Play Two documentary was filmed at the Cubs’ ballpark during the team’s historic championship seaon in 2016. Pearl Jam will be in Portugal for the multi-act NOS Alive 18 event in July. Tickets are now on sale for indie rock trio Haim at The Aragon Ballroom on May 11, and for the Spanish band Hinds at Lincoln Hall on May 15. Hinds were in town this past weekend for the Tomorrow Never Knows Festival. The Sixth Annual 2019 She Rocks Awards are being held tonight at The House Of Blues in Anaheim California. This year’s honorees include Pat Benatar; Melissa Etheridge; Cindy Wilson and Kate Pierson from The B-52’s; Exene Cervenka from X; and 1970s hard rock quartet Fanny. WROQ DJ Kat Corbett and She Rocks founder and producer Laura B. Whitmore will co-host the event. 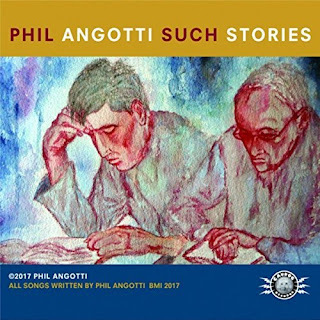 Earlier this week, I reviewed Chicago singer-guitarist Phil Angotti’s impressive Such Stories album. He’ll be performing some songs from it at Uncommon Ground’s Clark Street location tomorrow night as part of a WNUR Power Pop Shoppe Acoustic Show. Local power pop trio The Obleeks are also on the bill. The music starts at 8:00 p.m.
Steve Barton, a founding member of Translator, is releasing an ambitious three-disc album titled Tall Tales and Alibis on March 2. A number of musicians helped out with the recording, including Pete Thomas, who has worked with Elvis Costello; Derrick Anderson, who has performed with The Bangles and had a superb solo of his own in 2017; Nelson Bragg from Brian Wilson’s band; and Barton’s fellow Translator member Dave Scheff. The idea is that each of the three discs has its own identity. The 11th Annual Chicago Restaurant Week kicked off today and will run through February 8 at several venues around the Chicago area. As noted by restaurant critic Phil Vettel in this past Wednesday’s Chicago Tribune, that actually makes Chicago Restaurant Week a two-week event. Composer/producer Scott Freiman’s 2016 documentary Deconstructing The Beatles’ Rubber Soul will be screened on Tuesday, January 30 at the Music Box Theatre on Chicago’s north side. The January 15 – 21 edition of Streetwise, a Chicago publication dedicated to helping homeless people rebuild their lives by finding employment, has a five-page interview with Bjork. Writer Bob Mann’s feature story was originally published in The Big Issue Australia magazine. If you’re in the downtown area, you can pick up a copy of Streetwise for $2 from one its vendors. This is the last weekend to catch Lifeline Theatre’s 21st Annual Filet Of Solo festival. It wraps up its run at Lifeline Theatre and Heartland Studio. Tickets are $10 for each performance; festival passes are available for $50. See the Lifeline website for the full schedule. The 2018 George Harrison Birthday Tribute Concert with host Ellis Clark takes place at Martyrs’ on Lincoln Avenue on Saturday February. Vocalist Ary Jeebie from The Amazing Heeby Jeebies will be helping out, and as with last year’s tribute, a number of Chicago’s best bands will be taking part. The lineup features Clark’s band The Big Parade; Phil Angotti; The Handcuffs; Tomorrow The Moon; Constantine; Greg Jackson Combs; Phoenix; Frankie B; The Unswept; Aethereal; Gerald McClendan, and other guests to be announced. Sons Of The Silent Age will bring their awe-inspiring David Bowie tribute to Martyrs’ on Saturday, March 24. The third annual Define American Film Festival (DAFF) comes to Chicago this April, after being held in Des Moines, IA in 2016 and Charlotte, NC in 2017. According to a recent article by film critic Michael Phillips in the Chicago Tribune, DAFF is writer/filmmaker Joes Antonio Vargas, and is focused on immigration and racial issues. Most of the event’s screenings and discussion will take place at Venue Six10 on Michigan Avenue. A 1927 silent film version of Hamlet, starring Denmark actress Asta Nielsen in the title role, will be screened at Rockafeller Chapel in Chicago’s Hyde Park neighborhood on February 4 at 7:00 p.m. Organist Dennis James and harpsichordist Michael Tsalka will provide music accompaniment. There was more praise for my nephew Joe Flamm on Top Chef last night. The eighth episode of this year’s season (the show’s 15th) found the surviving eight contestants divided into teams and tasked with staging a three-course meal in a restaurant. Joe’s role for the team was to manage the house and mingle with customers. He is now among the seven contestants left of Top Chef. 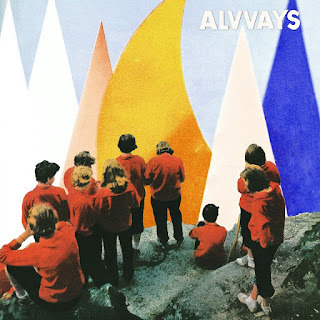 Antisocialites features Alvvays switching between atmospheric dreamscapes and high-energy rock with the same expertise they showed on their impressive 2014 self-titled debut. Lead vocalist-guitarist Molly Rankin is the main reason that flexibility is possible. In addition to her versatile singing, she joins keyboards player Kerri MacLellan for a guitar/synth dynamic that mimics new wave hits from the 1980s. It’s impossible to resist the unabashed fun of “Lollipop (Ode To Jim)” and the way it evokes Parallel Lines era Blondie and creates layers of chirping vocals. “Plimsoll Punks” delves into hard-edged satire while the social barbs on “Not Your Type” get an ironic touch of the 1960s girl group sound. “Hey” charges along with the primitive energy of The Ramones. On the more ethereal side, “In Undertow” follows in the hallowed tradition of Ivy and The Sundays. “Dreams Tonite” is a delicate Cocteau Twins flavored fantasy in which a guy a woman sees in the daytime becomes her nocturnal romantic partner. On “Not My Baby,” it’s hard to tell if a severed relationship has caused a lethargic reaction or a sense of freedom. Still, the low-key synth arrangement is another example of the enchanting way in which Alvvays creates songs. 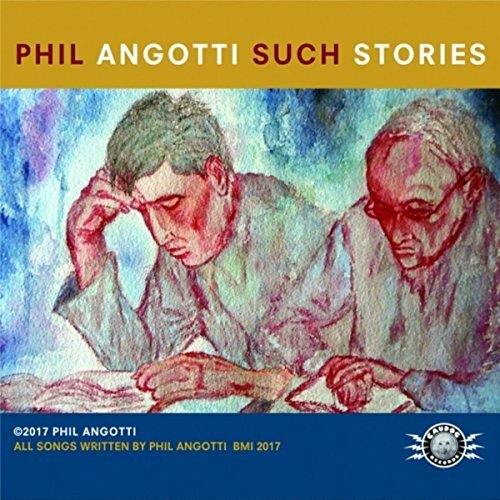 Singer-guitarist Phil Angotti’s last two albums, People And Places and Life And Rhymes, found him moving away from his power pop roots to take a more introspective approach. Such Stories, released in 2017, goes even further in that direction. The twelve songs are pretty much Angotti and his acoustic guitar, matching well-crafted observations to inviting melodies. Angotti is known around Chicago for his tribute shows to 1960s artists like Simon And Garfunkel and The Bee Gees, and that era permeates Such Stories. “Spare Parts,” a clever song about trying out a new face, heart, and soul, evokes vintage Neil Young. The easy-going “Sunny Day On The East Side” paints a picture of visiting a neighborhood park, while the title track uses a haunting arrangement to blur the line between reality and fiction. According to an article by Josh Noel in last week’s Chicago Tribune, 55.2 million tourists came to Chicago in 2017. That number not only set a record, it prematurely reached a goal Mayor Rahm Emanuel projected for the year 2020. The increase is surely tied into the Chicago-centric items I post on Broken Hearted Toy. Not really. But here’s a hearty welcome to out-of-town visitors and a call to action for the local arts and entertainment community to make a grand impression. 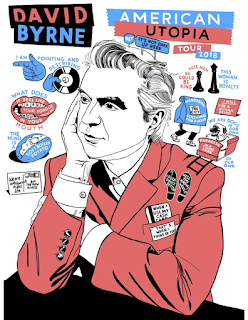 Tickets are now on sale for David Byrne’s American Utopia Tour visit to the Auditorium Theatre on June 2; The Decemberists at Chicago Theatre on April 10; Michael McDermott at City Winery Chicago on March 23 and 25; and MGMT at the Riviera Theatre on March 3. The Tomorrow Never Knows festival is underway and continues through tomorrow night at Lincoln Hall, Schubas, SmartBar, Metro, and The Hideout on Chicago’s north side. Scheduled acts include Melkbelly; Mark Farina; Wham City; Destroyer; Janelle James; and Hinds. I had never heard of the four-woman Spanish band Hinds until noted rock critic Greg Kot did a feature article on them in yesterday’s Chicago Tribune. They’ll be playing their catchy indie rock songs at 11:00 p.m. tomorrow at Lincoln Hall, and their new album I Don’t Run is due out in April. Go Time! lead vocalist-guitarist Scott Niekelski and singer-guitarist Gerry O’Keefe have a gig tonight from 7:00 p.m. to 10:00 p.m. at the Church Street Brewing Co. in Itasca. Lifeline Theatre’s 21st Annual Filet Of Solo continues this weekend at Lifeline Theatre and Heartland Studio Theatre on the city's far north side. Solo performances include Lily Be; Ada Cheng; Shelby Marie Edwards; Julie Gannet; Carly Jo Geer; R.C. Riley; and Jameson Wentworth. There will also be tales spun by Around The World: Immigrant Stories; GayCo; GeNarrations; the kates; The Lifeline Storytelling Project; Sappho’s Salon; Serving The Sentence; Stir Friday Night; The Stoop; Sweat Girls; Tellin’ Tales Theatre, featuring Tekkie Lomnicki; and You’re Being Ridiculous. Tickets are $10 for each performance; festival passes are available for $50. There was a recent post by Joe Marchese on The Second Disc website about a new album called Listen People: The Graham Gouldman Songbook 1964 – 2005. The 24-track compilation includes well-known recordings like “Bus Stop” by The Hollies; “Evil Hearted You” by The Yardbirds; and “The Things We Do For Love” by 10cc, but from there, things get pretty adventurous. Herman’s Hermits perform “The London Look” from Yardley Cosmetics commercial, Gary Lewis And The Playboys cover “Look Through Any Window,” Rush does “Heart Full Of Soul,” The Outsiders play “Listen People,” and Morrissey offers his take on “East West.” You’ll also find Gouldman himself doing “No Milk Today.” Other artists on Listen People include Jeff Beck, The Mindbenders, Cher, and Kirsty MacColl. The rock and roll community has suffered another heartbreaking loss with the recent death of bassist Jim Rodford. He most recently toured as a member of The Zombies and is credited with playing a major role in their early success. He was also a founding member of Argent with Zombies member Rod Argent. Big Brother’s Vinyl performed an impressive set of classic rock covers last Saturday night at the Arlington Ale House in Arlington Heights. A lot of the songs featured extended, twin guitarist fueled arrangements, and the selection—from Dire Straits to The Allman Brothers—was as adventurous as it was well chosen. Lizzy Petitt and The Bandwagon kicked off the evening with a mix of current hits and rock standards that found the former Serendipity singer-keyboards player coming into her own as frontperson. On this week’s episode of Top Chef on the Bravo Channel, my nephew Joe became the first member of our family to win a gold medal. Not an actual gold medal, but a facsimile as part of an Olympics-themed elimination round. My nephew, AKA ‘No Mustache Joe,’ joined forces with ‘Mustache Joe” Sasto and Bruce Kalman on the Blue Team, and each of them won their leg of the competition. Just a note of admiration for all of this season’s contestants. They’ve worked hard under extreme conditions and impossible deadlines, and made us all interested in their personal stories. 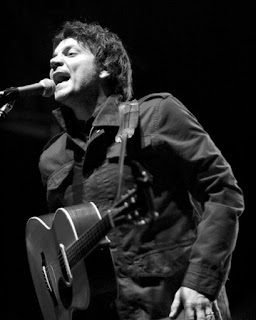 Photo from the Jeff Tweedy Facebook page. The state of Wisconsin has been plastering ads around the Chicago area trying to lure millennials up north. I can’t say the idea has any appeal for me. Here’s some entertainment news about Chicago and beyond. Tickets went on sale today for The Breeders at The Vic on May 8; Jeff Tweedy at The Vic on April 27 and 28; and Suzanne Vega at City Winery Chicago on May 5 and May 6. Lifeline Theatre’s 21st Annual Filet Of Solo kicks off tonight and will run on weekends at Lifeline Theatre and Heartland Studio Theatre through January 28. The festival will feature solo performances by Lily Be; Ada Cheng; Shelby Marie Edwards; Julie Gannet; Carly Jo Geer; R.C. Riley; and Jameson Wentworth. There will also be tales spun by Around The World: Immigrant Stories; GayCo; GeNarrations; the kates; The Lifeline Storytelling Project; Sappho’s Salon; Serving The Sentence; Stir Friday Night; The Stoop; Sweat Girls; Tellin’ Tales Theatre, featuring Tekkie Lomnicki; and You’re Being Ridiculous. Tickets are $10 for each performance; festival passes are available for $50. See the Lifeline website for the full schedule. The January issue of New City includes a cover story on The 50 People Who Really Perform For Chicago on the local theatre scene. Big Brother’s Vinyl will be playing songs from the 1960s and 1970 at the Arlington Ale House (third floor) in Arlington Heights tomorrow night. The opening act Lizzy Petitt and the Bandwagon will perform a mix of 1960s and contemporary rock. The music starts at 7:30 p.m. Band Called Catch celebrates its 10th anniversary with a show tomorrow night at Martyrs’. Past members are scheduled to join in the fun. The show will be preceded by sets from Laura Glyda, Buffalo Rose, and Todd Kessler. A recent Facebook post from International Pop Overthrow Founder/CFO David Bash presented his annual best releases list, a super size document that comprises over 300 titles scattered across 13 categories. All of which makes my 2017 Favorites list, which I’m hoping to post by month’s end, look like a chicken nugget by comparison. Actually, Bash’s Albums List, like his IPO website, is a great way to discover new artists. His top album of the year? Shag by the Los Angeles-based power pop band Sitcom Neighbor. Longtime Chicago rock critic Peter Margasak listed his Favorite Albums of 2017 in this week’s issue of The Reader. His number one pick was Peasant by English singer-songwriter Richard Dawson. The Celebrating David Bowie tribute concert arrives in America on February 10, following a series of European dates throughout January. It’s coming to The Vic Theatre in Chicago on Friday, February 23. Adrian Belew. Earl Slick, Mike Garson, Bernard Fowler, Angelo Moore , Gerry Leonard, Joe Sumner, Carmine Rojas will be performing, along with other guest musicians. Jon Auer and Ken Stringfellow of The Posies will perform as a duo at City Winery Chicago on January 31. It part of the band’s 30th Anniversary Tour. My nephew Joe Flamm continues his run on the Bravo channel’s Top Chef; having made it through the sixth episode last night. The Moody Blues’ induction into the Rock And Roll Hall Of Fame later this year won’t feel the same now that flute player/vocalist Ray Thomas has passed away. He played a major role in the band’s melodic and imaginative progressive rock and will be missed. The Chicago Inc. column in today’s Chicago Tribune mentioned that MTV is considering Chicago as the location of a Jersey Shore spinoff called Family Vacation featuring the original cast. Now there’s a group of people who would be better off choosing Wisconsin. 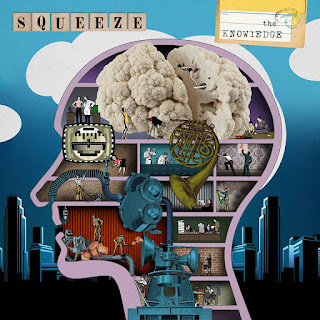 Released in October of 2017, The Knowledge proves Squeeze is still the champagne of pop music. The 12 songs feature Glenn Tilbrook and Chris Difford’s clever lyrics and irresistible melodies, as well as their impressive harmony vocals. Drummer Simon Hanson and keyboards player Stephen Large from the 2015 album Cradle To The Grave are back onboard, and there are enough guest musicians and vocalists to fill a continent. This latest effort explores current social issues as well. On “Rough Ride,” Squeeze takes lines like, “Either you’re rich or it’s tough” and “Austerity, austerity, is that all you have to give to me?” and drops them into an improbable but engaging mix of funk, opera, and Broadway musical. “A and E” turns a trip to the emergency room into a Motown-fueled call for more medical funding. Mostly, The Knowledge is another serving of classic Squeeze. “Patchouli” is an appealing look back at a teenage romance, and “Two Forks” is a rollicking celebration of people being able to overcome their differences. We had a super moon earlier this week and as always when there’s something going on with moon, my mind immediately goes to Off Broadway’s “Full Moon Turn My Head Around.” It’s from the Chicago band’s 1979 debut On, which is still considered a landmark album among power pop fans. Lead vocalist and chief songwriter Cliff Johnson often moved beyond the standard boy wants girl lyrics of power pop in favor of something more unusual and fun. Johnson will be performing the entire On album with The Raine at Fitzgerald’s in Berwyn tomorrow night. Over the past few years, the guys in The Raine have proved to be a perfect match for Johnson’s catchy and energetic material. The Jay Geoppner Band, which performs an eclectic variety of classic rock, is also on the bill. The music starts at 8:30. The Vulgar Boatmen, an Indianapolis-based band that has built a loyal following around the songwriting duo of Robert Ray and Dale Lawrence, is performing at Schubas on Southport tomorrow night. Their impressive 1989 debut You And Your Sister returned in a 25th Anniversary remastered edition in 2016 and featured classic indie rock songs like “Change The World Around” and “Drink More Coffee.” The coed alt rock duo KaiserCartel will be opening with songs that emphasize harmonies and strong melodies. Bev Bevan of The Move and Electric Light Orchestra fame, is currently playing drums and co-writing with the band Quill. The work reunites him with former ELO Part 2 mate Phil Bates. The Quill Riding Rainbows tour kicks off on March 2 in the UK. International Pop Overthrow has entered into a partnership with indie label Omnivore Recordings, according to a Facebook post from IPO honcho David Bash. Omnivore will release the IPO Volume 21 CD ater this year. Volumes three through 20 were released on Bruce Brodeen’s Not Lame label. Brodeen announced in 2017 that he was leaving the business. The 11th Annual Ian’s Party snagged a cover story in this week’s edition of The Reader and a mention in the Chicago Tribune. Two venues—Subterranean and Chop House—are hosting year’s event today, tomorrow and Sunday, with 69 bands scheduled to perform. The lineup includes beastii, Mother Nature, The Brokedown, and Montrose Man. Links to all the bands can be found on the Ian’s Party website. Ticket prices ranging from $10 to $30. Congratulations to my nephew Joe Flamm for making it through another week on Bravo’s Top Chef program. 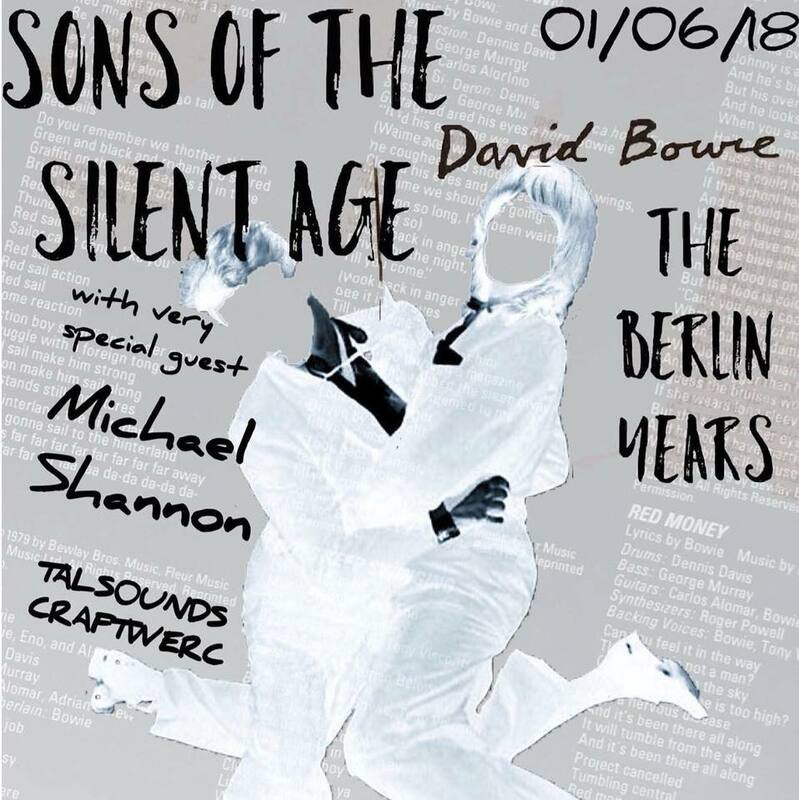 The Chicago-based David Bowie tribute band Sons Of The Silent Age has a show called The Berlin Years at Metro tomorrow night. With help from acclaimed actor Michael Shannon, they’ll perform Bowie’s Low, Heroes, and Lodger albums. WXRT is holding its annual Listener Poll Gala on January 23 at City Winery Chicago. Tributosaurus will once again be providing live music, and the station’s DJs will announce listeners’ most-loved concerts, albums, local artists, etc. The event starts at 7:00 p.m. Those interested in attending can enter for a chance to win tickets on WXRT’s official website. Band Called Catch celebrates its 10th anniversary with a show next Saturday, January 13 at Martyrs’. Past members are scheduled to join the party. The show will be preceded by sets from Laura Glyda, Buffalo Rose, and Todd Kessler. Singer-guitarist John Petitt, formerly with the rock trio This Is This, is now performing with Big Brother’s Vinyl. The band plays songs from the 1960s and 1970s, and as Petitt explained, “Much of our repertoire is off road of Top 40 radio.” Big Brother’s Vinyl has a gig coming up next Saturday, January 13 at the Arlington Ale House (third floor) in Arlington Heights. The opening act that night Lizzy Petitt (John’s daughter, and a former member of Serendipity) and the Bandwagon plays a mix of 1960s and contemporary rock. The music starts at 7:30 p.m.
As tough as January can be in Chicago—and we’re working on a record cold snap right now—it’s a great time of year for blues fans. It’s traditionally when homegrown but international legend Buddy Guy spends a lot of time performing at his Legends blues club. 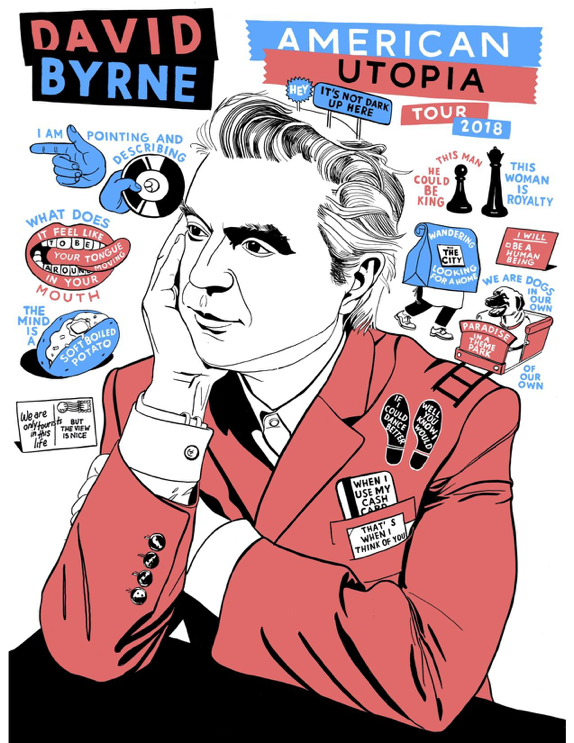 As noted by writer Miriam Nunzio in the Chicago Sun-Times, tomorrow’s opening night of Guy’s 2018 residency will also serve as fundraiser for PCa Blue. The blues-infused charity organization is dedicated to finding a cure for prostate cancer. 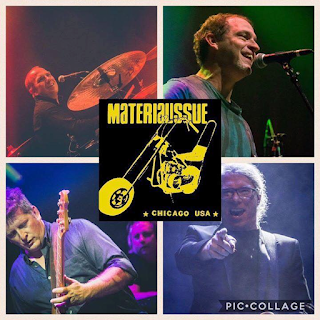 Tickets for the 21-and-older show are $55; the show at Buddy Guy’s Legends starts at 7:30 p.m.
Sons Of The Silent Age have built a strong following in the Chicago area and the David Bowie tribute act has a particularly ambitious show coming up this Saturday, January 6 at Metro. 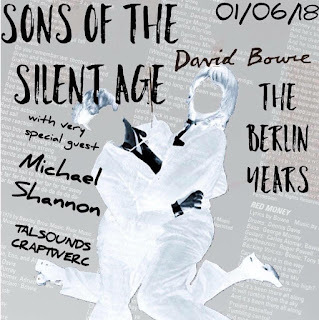 The Berlin Years will find these Chicago music scene veterans joined by critically acclaimed actor Michael Shannon as they perform Bowie’s Low, Heroes, and Lodger albums. A portion of the proceeds will benefit cancer patients at Northshore University Healthsystem’s Integrative Medicine Program. The music starts at 8:00 p.m.
There’s some retro-inspired fun coming up tomorrow night at Martyrs’ on Lincoln Avenue. Rosie And The Rivets, who play rockabilly, girl group, surf, and British Invasion songs, will share the bill with Amazing Heeby Jeebies, who mix originals with covers ranging from Lee Hazlewood and Nancy Sinatra to The Cramps. The blues/rockabilly outfit Tiny Miles Trio will also be performing. The shown starts at 8:00 p.m.